This marks the 18th and 19th AGC awards received by H.J. Martin and Son since the inception of the honor in 2003. 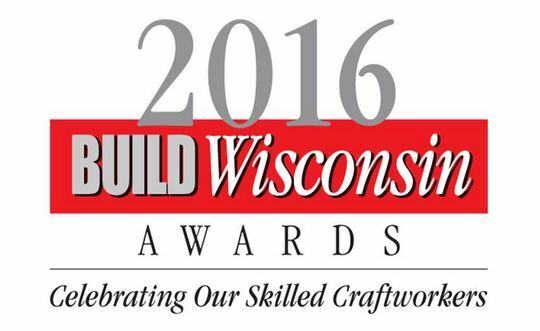 It also continues a streak of nine consecutive times (also 2007-14, 2016) that the company has been recognized by the AGC of Wisconsin (the awards were not given out in 2015). The two awards will be presented to members of the H.J. Martin and Son team at the AGC BUILD Wisconsin Awards Ceremony, to be held Oct. 13 at SentryWorld in Stevens Point, Wis. The lone winning entry in the Specialty Contractor-Exterior Finishes category, the Corporate Headquarters of International Dairy Company is a five-story, $85-million structure seen as the cornerstone of efforts to revitalize downtown Green Bay by the city’s mayor, Jim Schmitt. It serves nearly 600 on-site employees, with the capacity for future expansion to almost 900. It already is recognized on the Green Bay skyline for its distinctive triangular-shaped conference rooms on the northwest corner, which are lit in a variety of colors at night. H.J. Martin and Son installed 47,445 square feet of transparent glass on the building’s exterior. Included is a Kawneer 1600 Wall System™ 1 curtainwall that provides uninterrupted seam lines and Kawneer 5500 horizontal ribbon windows featuring extreme frontal placement of glass. Modern window technology – Switch Glass – that can change the opacity of the glass from clear to frosted at the flip of a switch also was incorporated into the project. The company also worked on the highly visible grand staircase which originates in the company’s lobby, an aspect that required stair-railing glass and break-metal work. Through the use of glass, the nearby partner corridor is visible to guests, providing a sense of activity and vibrancy. Gilbane Building Company served as construction manager, while HGA Architects and Engineers was the project and interiors architect. 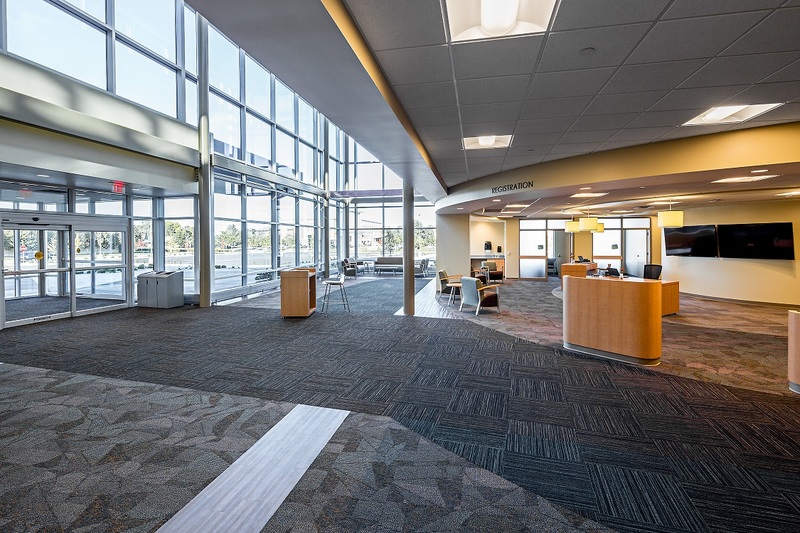 Fox Valley Hematology & Oncology Center in Appleton, Wis., was a winning project in the Specialty Contractor-Interior Finishes category. FVHO is a brand-new health and wellness center for the care and treatment of cancer and blood disorders. The 70,000-square-foot facility provides advanced cancer treatment options to roughly 300 patients daily, along with a wide variety of complementary services under a single roof. H.J. Martin and Son installed more than 16,000 square feet of flooring materials and 4,300 square feet of ceramic tile, many of which had sustainable features, within the entire $17-million structure. A half-dozen different flooring types were part of the project. The wide-open, front lobby had several radius arches, requiring expert craftsmanship to bring the walk-off carpet tile together. An additional large arc, extending from a treatment room, was on the second floor. The arch locations necessitated that grooving be done by hand, rather than with a saw. Though a new construction, a major challenge of the project was the excessive floor prep required prior to the install due to many areas where concrete was not poured to the proper level. This deficiency required the H.J. Martin and Son installation team to extensively fill and skim coat before starting. Additionally, there were many locations in the installation where carpet tile and vinyl plank came together. This necessitated expert leveling of the surface in order to have a smooth transition from one flooring product to another. The goal was to have no transition strips, allowing for carts and other medical devices to freely roll over the varied surfaces with no obstruction. Miron Construction was the general contractor on the FVHO project and McMahon Group served as the architect/engineer. 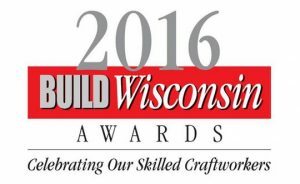 AGC of Wisconsin selects winners of the BUILD Wisconsin Awards based on craftsmanship, innovation, meeting difficult challenges and sustainable practices.